March 21 was Kick Butts Day, a national day of activism to empower youth to stand up and speak out against Big Tobacco, organized by the Campaign for Tobacco-Free Kids. 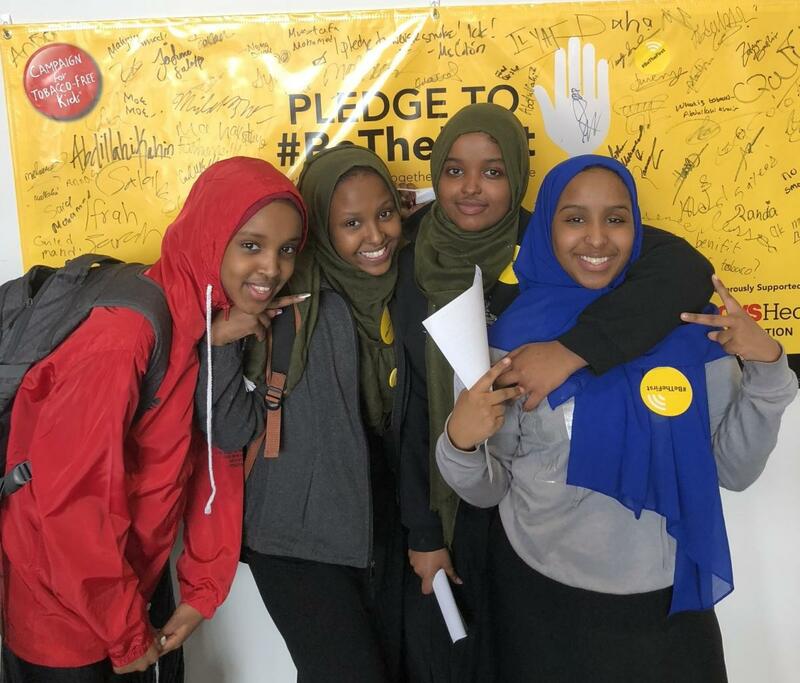 This Kick Butts Day, youth leaders, teachers and health organizations held over 1,000 events across the US to raise awareness of tobacco use and encourage the youth to stay tobacco-free. WellShare’s The Young Achievers, participated in this event and had fun working on a pledge-wall. With recent reports showing Minnesota youth tobacco use rising for the first time in 17 years, events like these are a great opportunity in the fight against teen tobacco use. Our youth started the event by writing down their thoughts about tobacco and pledged to stay tobacco-free by signing a pledge wall. The wall was a great point of discussion among the youth and filled up quickly after other students joined in to say “no” to tobacco. They all pledged to be the first tobacco-free generation.